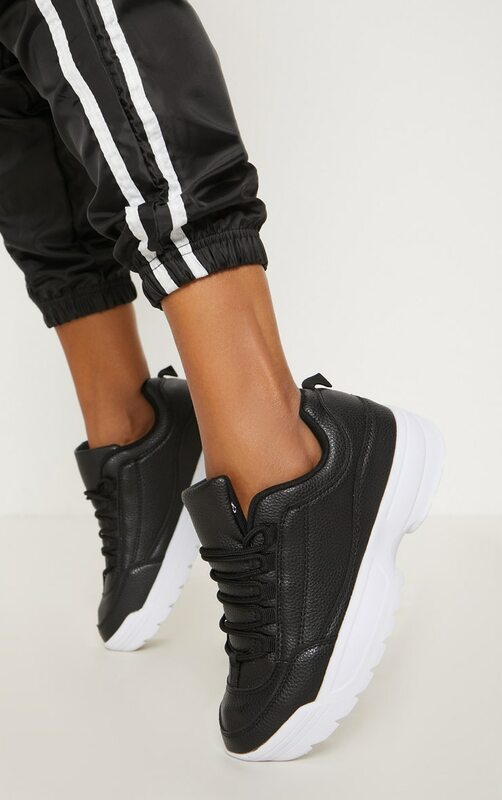 Every shoe collection needs a pair of black chunky sneakers girl. 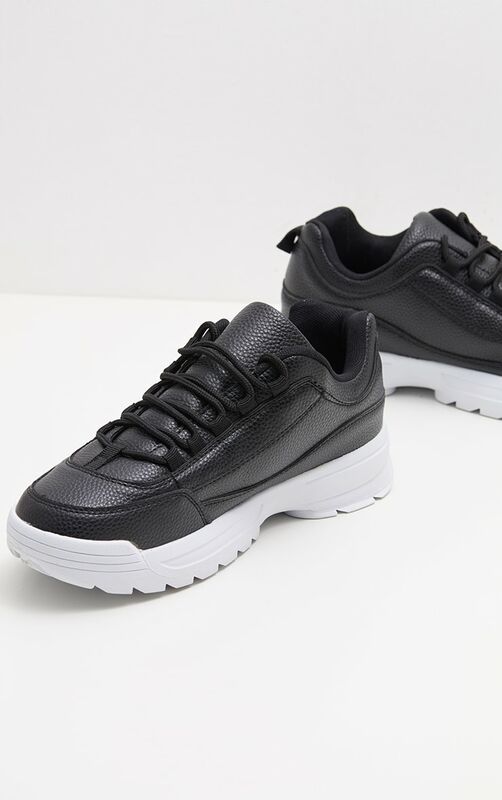 Featuring a black faux leather material with a cleated sole and a lace-up fastening. 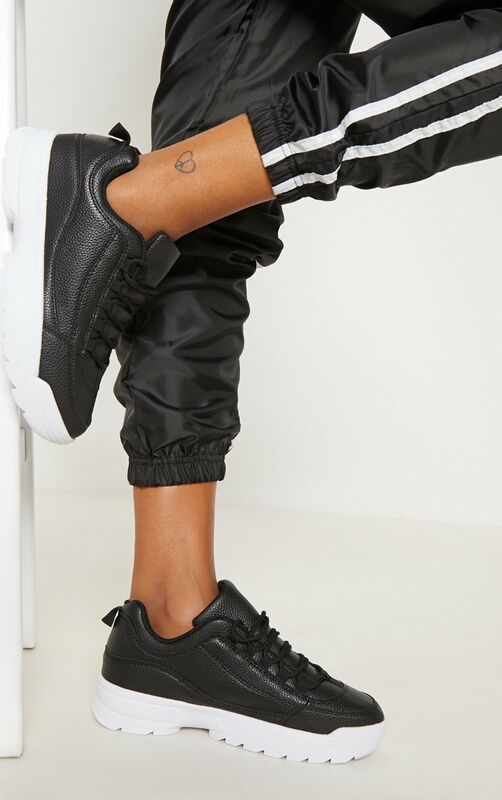 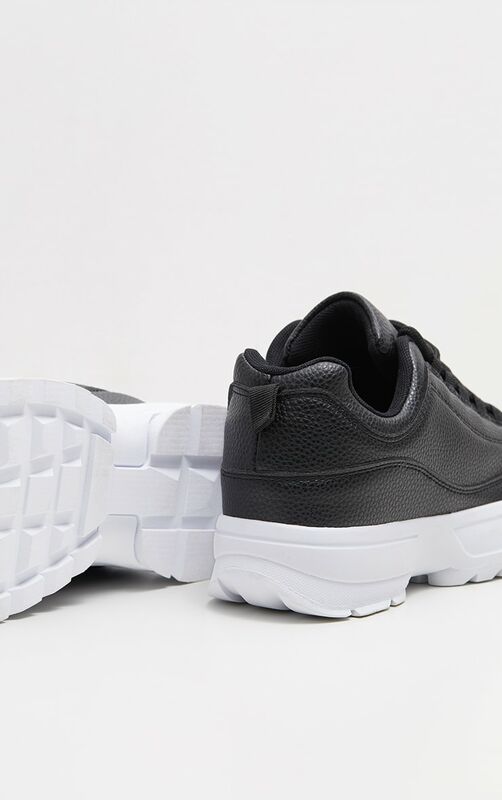 Style these sneakers with any off-duty look we are obsessing over.